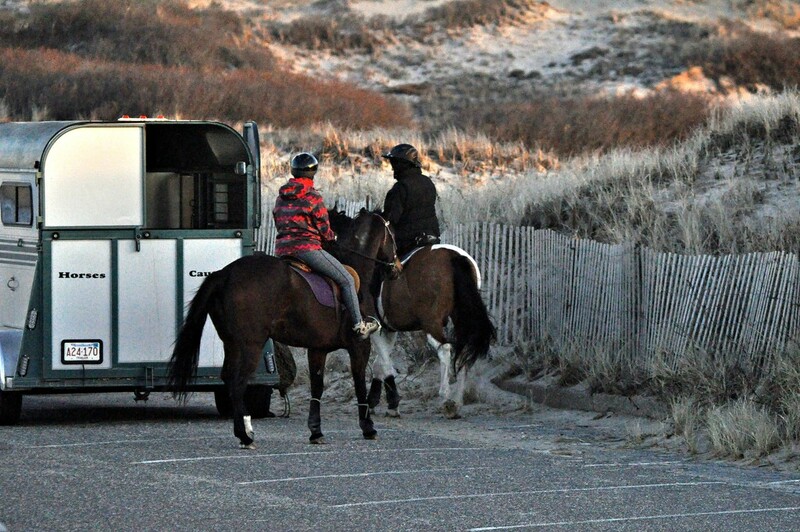 Coming back from a ride on the beach. a lovely scene and beautiful lighting. It tells a story and the tones of the beach in the background convey the cold wintry day. I love the light on the dunes. What a lovely photograph.